After the runway show concluded, guests were encouraged to meet the pups up close and personal and chat with rescue volunteers. We are hoping that all of the pups find loving homes! We loved the tiny 6 week-old pup, Leo! Well we actually loved all of the doggies! 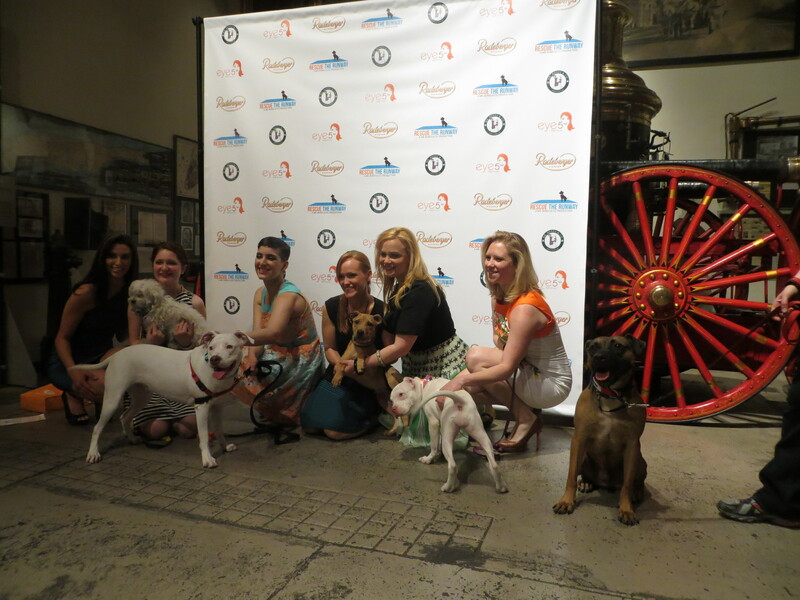 It’s only fitting that the event took place at the New York City Fire Museum where dogs play a special role. 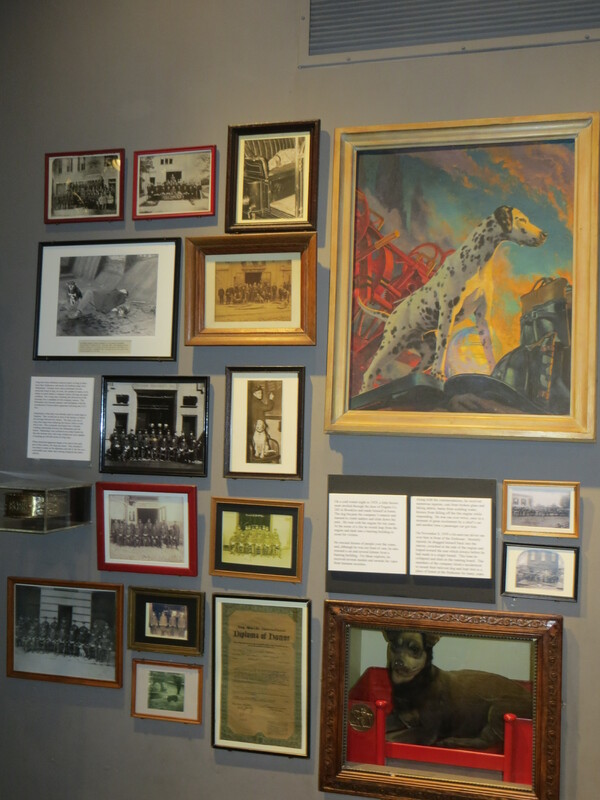 A fire doggy memorial adorned one of the walls with photos, collars, information, and even a stuffed former fire dog from years ago. It’s amazing how dogs are able to inspire us to do some pretty amazing things! 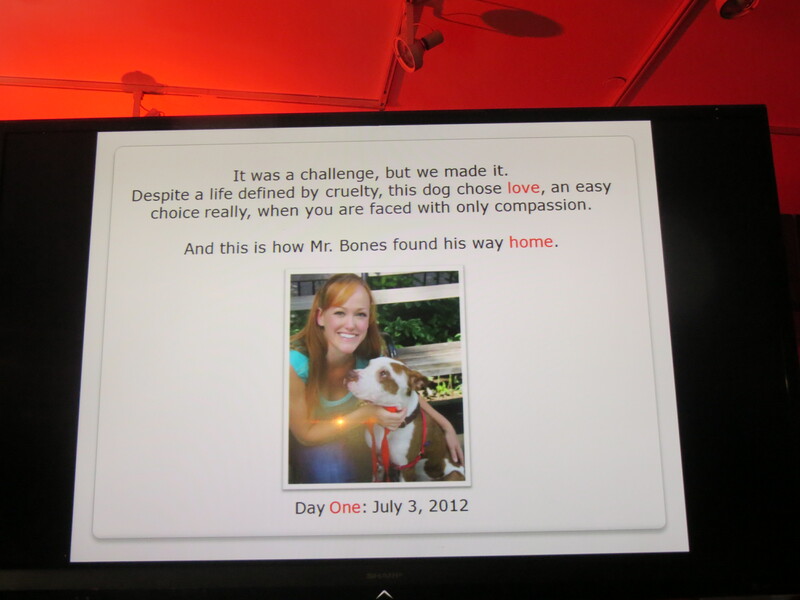 Mr. Bones, a rescue pup, was the doggy brain child behind this production. And happy to hear he and his human companion, Elli Frank from Eye5 Marketing & Talent, have already started work on their second annual event with a possible cat theme. Guests were treated to an open bar, tasty bites from local restaurants Left Bank, Poco, Bell Book & Candle, yummy Crumbs cupcakes, a fabulous silent auction and raffle, and special entertainment by DJ Gabriel Valverde, Band Called Catch and Tora Fisher. Party goers headed to the Brooklyneer for an after party . . .
What a great event! Did many of them find homes?